Just Reduced $34,100!! 2BR/2BA/Den: Furnished option available. 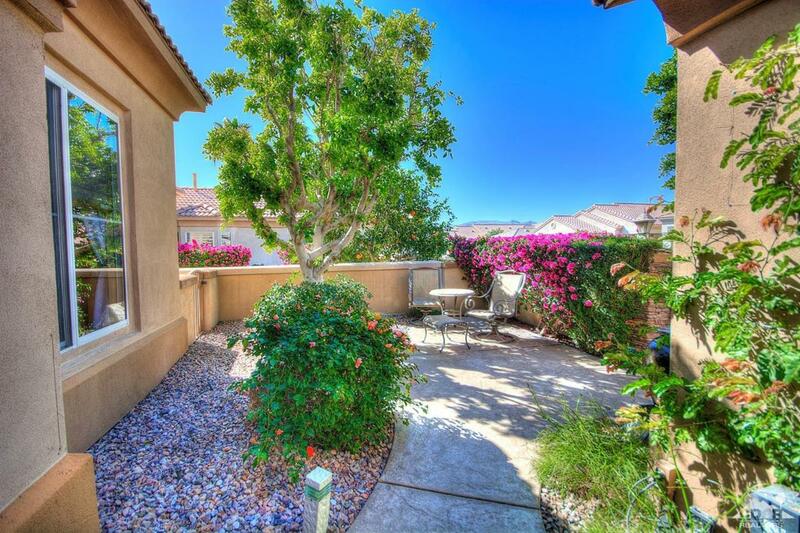 Beautiful golf course home on elevated lot with panoramic view of the 12th fairway. Sunny extended covered patio. 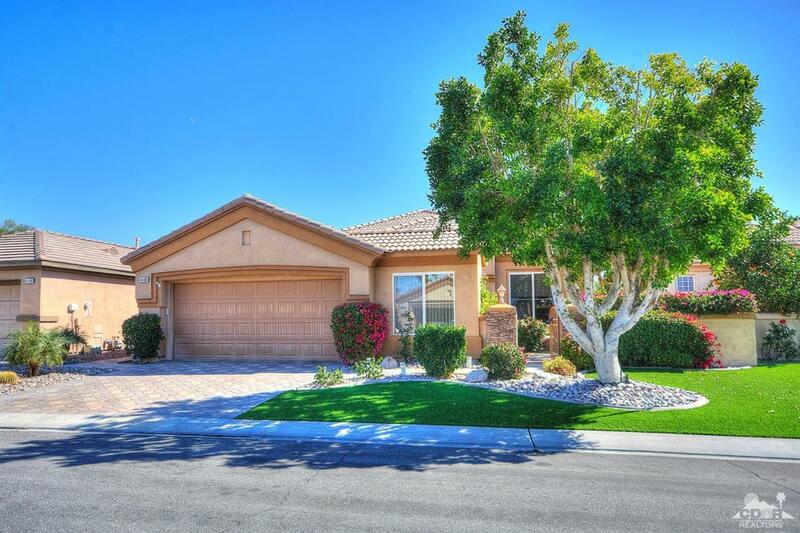 Open great room & slab granite gourmet kitchen, stainless steel appliances, island, pantry & breakfast nook. 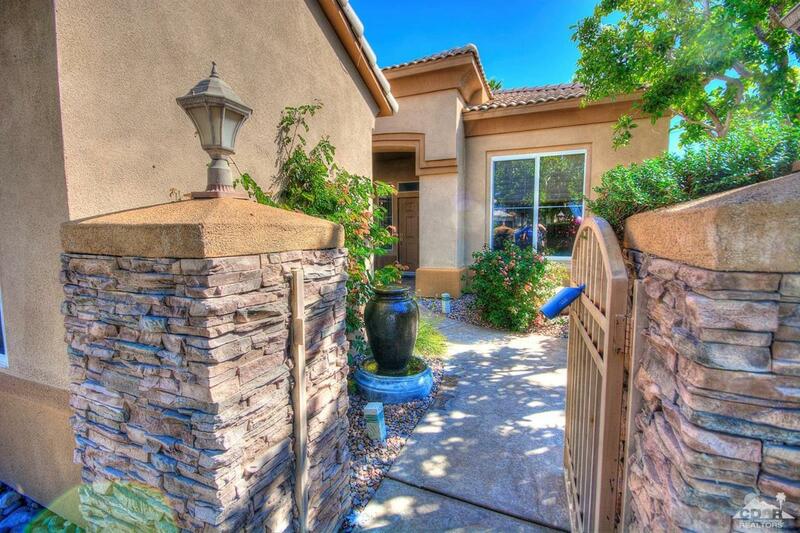 Home has Travertine tile & carpeting, ceiling fans, coffered ceiling & custom draperies. Large Master Suite w/ large bathroom walk-in closet. Office/den with large built-in office unit. Home has an inside laundry room and a 2-car garage with golf cart parking area, swamp cooler & lots of storage. 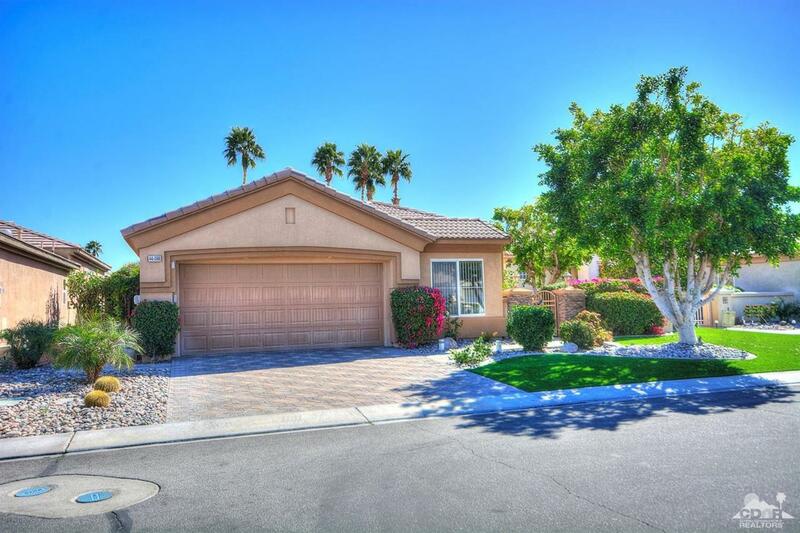 Heritage Palms is an active 55+ gated community w/24-hour security & is centrally located. NO INITIATION FEE. We own the golf course. Enjoy the 18-hole championship golf course, newly remodeled clubhouse, restaurant & lounge, fitness center, 4 lighted tennis & pickle-ball courts & indoor/outdoor pool & spa. Many activities & clubs. Low HOA dues & IID electric rates.